One of the best ways to be self sufficient is to grow your own food. Growing food required much more than simply planting a few seeds. 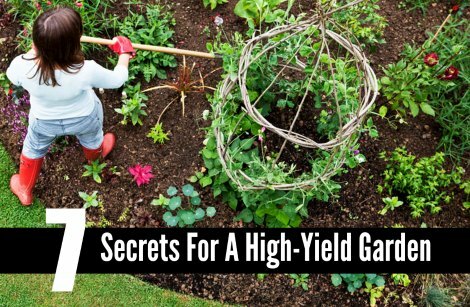 There are a few secrets for a high-yield garden that can be applied when you want to have a good supply of food. The size of your garden will limit the amount of food you are able to grow. This will mean finding ways to make your garden bigger or produce more in the same area. A trellis is one of the best secrets for a high-yield garden that is really simple to set up. Some of the secrets for a high-yield garden are easy to do and others require a little work. Building a raised garden bed or multiple beds are another option to consider. These will help keep weeds at bay, if a lot of effort is spent removing weeds from your garden.